The duck-billed platypus didn’t exist 250 million years ago, but scientists recently discovered the fossils of a marine reptile that looks suspiciously similar. A new study in the journal Scientific Reports describes the newly discovered species. Before, researchers had only partial fossils, notably missing the skull. The two new fossils, skull included, reveal that Eretmorhipis carrolldongi had a bill made of cartilage. It would have been an unusual creature, based on its appearance. Eretmorhipis had a small head, but in relation to its body size, the eyes were even smaller. Its long body and tail were rigid, affording little flexibility, so it had four flippers to help it swim and steer. Oh, and it had 10 triangular bony plates running in a zigzag down its back, not unlike a stegosaurus. The fossils were found in Hubei, China, in an area that once had a shallow sea, only about 3.2 feet deep. Not only would its rigid body and bony plates make the marine reptile a poor swimmer, but its tiny eyes mean that it probably hunted by touch. This makes Eretmorhipis the oldest-known reptile with a reduced visual capacity and more likely to use other methods of searching for prey. Usually, a lack of sight means that another sense is enhanced. The researchers ran through the possibilities. Hearing, smell and taste were ruled out, making touch the most obvious choice in helping it determine what was predator and what was prey. 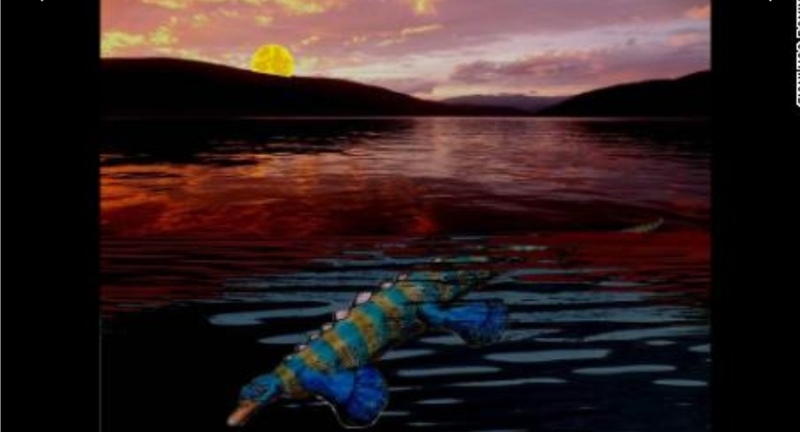 (CNN) — The duck-billed platypus didn’t exist 250 million years ago, but scientists recently discovered the fossils of a marine reptile that looks suspiciously similar. 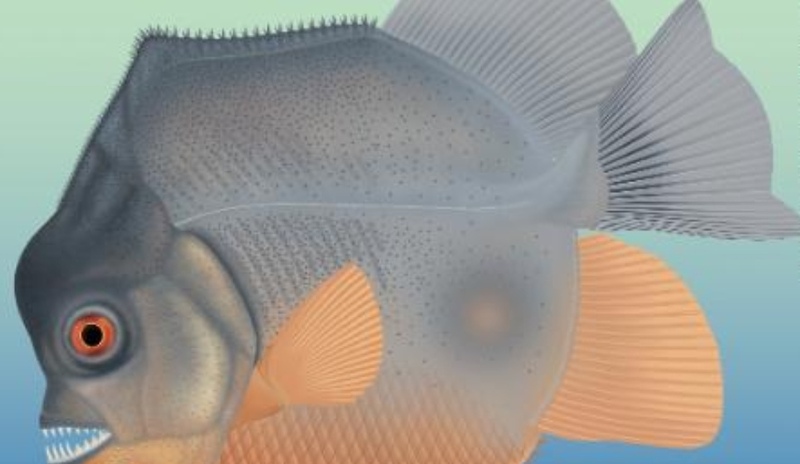 A new study in the journal Scientific Reports describes the newly discovered species. This would allow Eretmorhipis to hunt in low-light situations, even though it wasn’t considered to be nocturnal. That would have given the reptile a benefit, considering that other predators living in the same shallow sea most likely hunted during the day. And although no fossils of its prey have been found, it most likely ate shrimp. 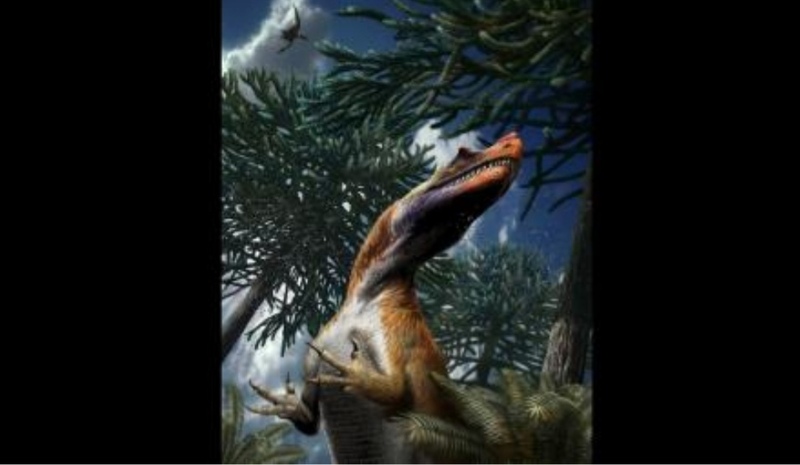 Not only was this reptile strange, but it lived during an interesting time, after the mass extinction that occurred at the end of the Permian era 252 million years ago. This was the most severe extinction event to happen on Earth. The fossil is from the lower Triassic period and is related to the ichthyosaurs, which were dolphin-like. The researchers said that the fossil shows how quickly evolution was taking place after the mass extinction during the early Triassic — which challenges the idea that marine reptile diversification was delayed after the event. “It wouldn’t survive in the modern world, but it didn’t have any rivals at the time,” Motani said.